17 Monitor ’32”x4 Video Wall. 9 to 30 VDC, 5 Watt max. Poroposed LCD Video wall should be a matrix of 4×4 NSL LCD or similar Display System having Four Nominal WXGA+ Modules stacked in TWO rows and TWO columns. The Display controller to drive these NSL LCD Video wall should be Modules is kept below the mechanical structure of the Display Wall and the connecting cables between the Display Controller & LCD Modules run internally. The proposed solution of LCD Video wall will behave as a Single Logical Display with the help of our Display Controller. Display Controller will be running on WINDOWS XP professional operating system and would be connected to the Operator Workstations in the Control Room thru the Ethernet (10/100/1000 Mbps). One can always load / install various WIN based applications on the Display Controller and can run them from there to show the display of the same on the Large Screen Display. Display Controller can also take various inputs e.g. DVI, RGB, s-video. There should be a provision for 2 nos of DVI input in the proposed solution of streaming video inputs via quad streaming video input card. One can also show the mirror images of the monitors of the WIN XP based OWS / PC connected with Display Controller over LAN. There should be provision of control room management software which will be seamlessly integrated with Wireless FDA systems. It will enable to show detail content on the LCD display wall. Using the Software, one can always pre configure various display layouts to be displayed any time with a simple mouse click. The applications defined in a particular layout are automatically opened, sized and positioned accordingly on the LCD Display as soon as that particular layout is launched. There should be a provision for a provision for 6 clients to be added which are available on the same network for displaying the video content on LCD video wall. All clients should be IP based and on the same network. Using the Remote Pointer functionality of software, the control of the keyboard and mouse of the Display Controller, can be taken over by any WINDOWS XP OWS’s keyboard and mouse if the same is connected with Display Controller over the LAN. Narrow-bezel LCD NSL Or similar display with WXGA (1366×768) resolution. Overall Gap between two LCD panels should be less than 7.3 to 10 mm . Allows multiple sources in Native resolution without loss of pixel or scaling for control room applications. Multiple sources (video, PC content or streaming video) can be presented and positioned anywhere across the entire LCD stack. Accurate Color calibration for display consistency management to ensure correct white point and accurate grayscales. Front access removal of any LCD without removal of other LCD’s. Can be serviced from the front and the back. Require no back room space at all, so they are ideally suited for control rooms where space is limited. Viewing Angle: Better than 170 O Horizontal & Vertical. B. Centralised Monitoring Station shall be intelligent, with its own memory with inbuilt in RF transreceiver module with MESH Protocol for communication with the all the Hooter Panel installed in MBPT and annex Building. The control panel as a built-in feature shall have 255 Loops Each loop shall be able to take at least 255 Local Monitoring Station& Hooter panel in the installed area. The CMS shall have necessary loop modules, alarm o/p modules and control output for various control functions. The CMS shall have facility to process the input signals and also have facility to control all the input data received from addressable type Local Monitoring station / Local Hooter Panels from different areas in plant. CMS shall have number of electronic filters to ignore false alarm and increase sensitivity to real fires from sensors. The electronic filters shall recognize the unwanted alarm from detectors due to electrical spikes. 1.0 The Display System shall be server Windows TM based application designed primarily for the monitoring of fire alarm systems installed in the Plant area . Providing the user with a means to view the entire system or campus enabling rapid recognition and identification of source and extent of each event, particularly during multiple alarm conditions. 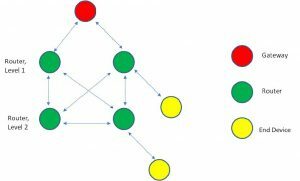 The presentation of alarm information shall be provided in a simple, standard text or graphical format, giving operators the right information on which to make appropriate decisions with MESH protocol in two way communication. c. Compatible with RF hardware addressable systems and network outstations. d. Print graphical pages with automatic event logging. e. Multi level password protection. f. Unlimited number of graphical pages. The Display System shall be designed specifically for connecting to the range of Local Monitoring Station/ Local Hooter Panel providing full interrogation of sophisticated features. Powerful two way RF cards with MESH protocol located within control panel shall enable up to 255 addressable Zones to be supervised and each Local Monitoring Station/ Local Hooter Panel enable up 255 nos to be supervised. This shall provide the operator with an instantaneous overview of all systems located with immediate access to detailed information as required. Alternatively, using network outstations incorporated within the system design, monitoring of third party equipment via discrete digital inputs shall be achieved. The Display System shall provide central control and monitoring for remote sector nodes using full-duplex transfer of information, status and commands over a networked system. The system shall allow each alarm device or input to be allocated a priority, which ensures that the operator is presented with the most urgent high priority alarms, followed by those of lesser importance. Monitoring of non-fire related events such as plant, security, and process are also to be catered for by the system. a. 255 (nodes) addressable Wireless Local Monitoring Station/ Local Hooter Panel. b. 255 (nodes) addressable long Range Transreceiver Mesh Protocol. d. On event auto dial out facility – supporting two lines and up to 20 calls on Each line. f. Drop-down alarm display window on 04 different video wall . i. At a glance, site-wide system status monitoring. j. Common messages – 600-character alarm intervention text per device. o. Compile event report and register. s.Automatic potential free Addressable trip relay with inbuilt receiver 5A NC Contact. a. Automatic for all priority events. b. Restrict priority event facility. 1.7 Installation, Testing, and Commissioning & Training: The total system shall be installed, tested and commissioned for effective functioning. Our staff shall be trained for smooth operations, trouble shooting and maintenance of the total system. D. The CMS should offered shall have high degree of flexibility with the possibility of expanding to a bigger system with several control panels and control and information units. Programmable activation of control output relays for tripping ventilation system, AC system and closing of fire doors in the event of fire. Individually controlled, monitored alarm outputs for external hooters, lamps etc. Fire control panel shall have facility for test features. The status check of each detector, interface units for alarm, prior warning, troubleshooting , disabling shall be possible from control panel. The Power Supply to the control panel shall be 240 V, 50 Hz. Single phase, AC supply. All controllers, RF transmitters and power supplies should be duplicated for failsafe operation. The panel should have additional capacity to operate auxiliary equipment like fire dampers, ventilation and / or pressurizing fans, emergency light, smoke vents etc. if required. For detector testing from the panel which eliminates the need for testing the detectors in the field every now and then Trouble Remainder: To remind the operator of the maintenance required at the individual detectors. Upload /download to PC computer For programming the panel in the first power up Alarm Verification with Tally: To verify any alarm received by the fire alarm panel before the hooters are sounded. Walk Test: The entire loop can be tested by a single person with the print out at the printer. Smoke Detector maintenance Alert: Give an indication to the operator that the detector requires cleaning. The system shall provide all the controls and indicators used by the system operator and may also be used to program all system operational parameters. The system shall be programmable, configurable and expandable in the field The field programmability is essentially required so as to make the necessary modifications in the system parameters as per the site conditions. The field programmability shall allow the client make changes in various system parameters as per their operation philosophy. All programming shall be accomplished through PC / Laptop. The system shall be able to display the following points status diagnostic functions without the need of peripheral equipment. Each point shall be annunciated for the parameters listed. I : Health condition monitoring in each 01 hrx24 hrs of Local Monitoring Station/ Local Hooter Panel/ detectors /MCP/LHS / third Party Integration devices installed in Plant area. J:different Audio visual alarm with graphic presentation of Health condition monitoring of all the devices in Wireless FDA system install in Plant area in fixed intervals. K : Low Bat , Mains Fail , Detector Tamper , Dust accumulation chk monitoring for all the devices installed in Plant area for Wireless FDA System using wireless two way communication MESH protocol. M: Report generation for health condition monitoring with programmable sms facility to the concern responsible officials in the respective plant area . The CMS panel shall contain a history buffer that shall be capable of storing minimum 1000 system output/input/control activations. Each of these activations, shall be stored and time and date stamped with the actual time of the activation, until an operator requests that the contents be weather displayed or printed. The contents of the history buffer may be manually reviewed, one event at a time, and the actual number of activations may be displayed and or printed. The fire alarm control panel shall automatically interrogate each addressable system detector and shall analyze the detector responses over a period of time. The Hooter shall be of rugged construction, have weather proof protection and suitable for outdoor mounting. It shall have adequate range to cover a radius up to 500mtr and shall be dual tone. The operator at the fire station / security control room shall have facility to energies the Hooter. The Hooter shall be suitable for 12 VDC. The electronic strobe light being located at vital places shall have a high intensity flasher light for a visual alert from a distance. Shall be displayed in Audio/Visual mode in the Fire Alarm Panel as per NFPA -72. Micro-Controller based control panel – allowing the system to receive and process trigger/events. Trigger events tracking and managements from single centrally located system. Multiple locations (trigger points) can be viewed & message can be transmitted simultaneously. 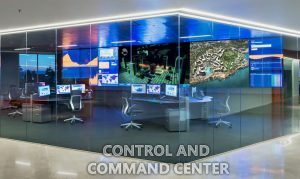 The events will be gathered in real time and communicated to central monitoring unit – to be seen and managed on a giant video wall. Compatible with RF hardware addressable systems and network outstations. Print graphical pages with automatic event logging. Unlimited number of graphical pages. Allows one to enter each audio receiving unit . Allows one to associate an audio receiving unit with zone. Audio Driver Configuration: Allows one to setup/select device to sound input (recording). Record messages and transmit/play in real time in selection locations/zones. Scheduler: Allows one to setup a schedule to play pre-recorded messages at selected locations/zones. Offline Units: Offline unit list, so that the units can be checked and maintained. Facility for live announcement through multiple IP paging stations with priority set. The CMS along with all the Local Monitoring Stations/ Local Hooter Panels ,addressable detectors, other devices shall use MESH protocol. Default setting is transparent mode. In transparent mode, UART data entered into the Gateway will be received by all Routers in the network and will be made available at their UARTs without any changes. The addressing must then be in the application layer. In the other direction, with UART data from a Router to the Gateway, the data will only be received by the Gateway without any changes. In Packet mode, addressed data is possible as well as individual I/O control and monitoring of each Router. The link will then not be transparent but will contain extra bytes for command and control. The Gateway can then ask for I/O read-back as well, and receive packet-path information.